President von Hindenburg supports several measures to improve Germany's economy, including a reduction in wages and internal prices, thereby increasing exports without reducing living standards, a new income tax, a new bachelor tax, and large-scale public works construction. Los Angeles became the fifth largest city in the US in 1930, increasing to 1,231,730 population from 576,673 in 1920. Candy sales in the US in 1929 were 12 pounds per capita, an increase of 1 pound over the previous year. Stocks generally under pressure, trading light until the final hour. General Federation of French Production predicts that Smoot-Hawley tariff will lead to European reprisals. Congressman Hawley (Chair of the Ways and Means committee) says foreign nations would find this unprofitable in the long run. At U.S. fiscal year-end (June 30), it's anticipated that public debt will have declined more than $500M this year but less than the previous year's $673M decline. Total debt has declined from $16,639M to $16,142M in the period from June 30, 1929 to May 31, 1930, and interest paid on the debt is down from $584M to $561M. Tax receipts are holding up reasonably well though down by a few per cent from 1929. Auto retail sales are increasing though still below 1929, but companies are cutting back on production to help dealers work through their inventory. Industry anticipates the readjustment will be completed by the end of the year. Italy and Germany have been raising tariffs on wheat. This may affect exporters including the US and Canada. Woolworth sales down 11.4% in May vs. 1929. Brown Shoe Co. reports improved earnings for the six months ended April 30 of $1.83 a share compared to $1.65 a share in the previous year. Sold 15.1 million pairs of shoes last year and is planning to expand capacity. Melville Shoe Corp. reports improved sales for the first five months of 1930. Sales for May up 8.2% over 1929. “Husband – I wonder when you'll learn to make bread like mother used to make. Those wacky British have also come up with their own terms of telephone lingo, including telephonist instead of operator, and engaged instead of busy. The most common lists of suckers used as prospects by stock fraudsters: 1) “the list of 1,000 millionaire widows,” 2) clergymen, 3) lawyers. Total market value of all stocks and bonds listed on the New York Stock Exchange is 123.4 billion compared to less than 61 billion at the start of 1925. Volume increased yesterday, bearish professionals active, based on bad business news, particularly in the steel and automotive industries. Short term rates cut by 1/8 percent to 2 1/8. Manufacturing production in April up 1% over March but “considerably below” 1929. Output of minerals in April up 7% over March but down from 1929. Unfilled orders for manufactured goods down in April both from March and from 1929. GE plunges on failure to declare special dividend in addition to ordinary one. Crude rubber prices hit new lows. Steel scrap markets flat to lower. Ford car and truck production 191,813 in May against 200,903 in 1929. Tire prices reduced by Goodyear and other manufacturers. Gasoline consumption 10% ahead of a year ago. 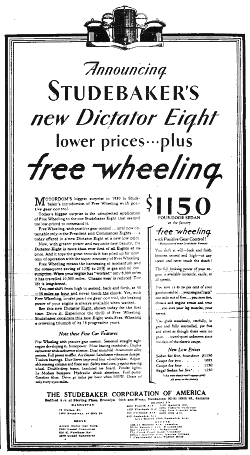 General Tire & Rubber May business ahead of 1929, plant running at capacity. Canadian dollar trades at a premium to U.S.dollar. The average size of the family farm unit in the Great Plains region has grown tremendously in both acreage and total investment. For example, in 1916 Montana had about 35,000 wheat farmers. Today it has less than 14,000 who are handling more acreage. Over one million farms are predicted to receive electric service in the next four years. Committee of European bankers to meet in New York with the Mexican finance Minister to consider the resumption of payments on Mexico's debt. The New York Hide Exchange ended its first year of operations successfully. Market action is dull (transactions are 1.5M-2M shares/day), but leading stocks were firm (“displayed a quiet undercurrent of strength”) in spite of bad news from U.S. Steel yesterday and bad sentiment about the trade situation. Strength in U.S. Steel, GE, oil, and Liquid Carbonic (“the largest factor in manufacturing and distributing carbonic gas and soda fountains”). Market largely being made by the average trader, big professionals doing very little on either side. Continental Baking reports that earnings are almost back to 1929 levels over the 5 weeks up to May 17, after having been down about 35% for the first 15 weeks. Sales have recovered while flour costs remain low. National Cash Register reports orders in May up 81% over April though still 25% below May 1929. Goldman Sachs down to a new yearly low after omitting quarterly stock dividend. Chrysler shipped 40,644 units in May, 26% below May 1929 but 8% ahead of April. R.J. Reynolds hiring substantially to increase production of Camel cigarettes. Glidden (paint) 6-month earnings to April 30 down 63% over 1929 – decline in automotive business and inventory losses on raw material price declines. Sears-Roebuck sales running slightly below 1929, expects earnings for 1930 to be below 1929. New building and engineering contracts for the New York metropolitan area totaled $96 million for May compared to $101M for April and $99M for last May. “'Fifty Million Frenchmen.' A gala and racy exhibit, with a few inventive departures and some Cole Porter songs well sung. Madison Square Garden reports a new record for boxing receipts for the 11 month season ended May 28 - $2.27M for 35 shows compared to $1.27M for 26 shows in 1928-29. New record for Holland tunnel traffic over the holiday weekend of more than 45,000 cars a day. Record 6000 prohibition enforcement arrests in April. Bankers anticipate easy credit - “a liberal supply of funds at low rates for some time”. The market was “dull and listless,” active issues losing one to three points. Trade has been down for about nine months – bullish since we're nine months closer to returning to normal. Market turns down in late trading after U.S. Steel news. Retail Radio equipment sales expected to be up from $590M in 1929 to $645M in 1930. United Aircraft on uptrend – 1930 gross expected to exceed 1929, net income for Q1 1930 of $900,391 (0.39/share) and expected to trend up for remainder of the year. Government and foreign business expected to make up shortfall from commercial demand. Alleghany railroads income April earnings up 6% over 1929, exception to general railroad trend. I. T. & T. reports business operations improved in 1929 and so far in 1930. Net income of $17.8M in 1929 compared with $14.6M in 1928. New record low price for silver. 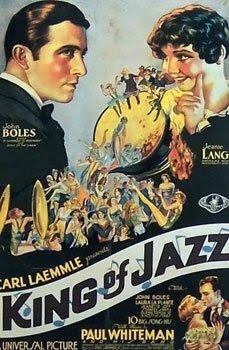 Fox film optimistic for 1930; budget is $30M, up $10M from previous year, of which $25M is for production of 48 feature films and $5M for new sound stages and equipment. Business for Q1 up 90% over previous Q.
American exports of industrial machinery for first 4 months of 1930 up 4% over 1929. Coal mining and cotton manufacturing industries suffering from overcapacity and low prices; blamed on industry fragmentation. “Stepping Sisters” A boisterous farce-comedy about two burlesque queens who become social dowagers. “Strictly Dishonorable” An Italian opera singer to the rescue of a southern plantation owner's daughter who finds herself deserted in a homey New York speakeasy: perfection in entertainment. Agriculture Department continues war against America's food racketeers. Last year obtained 487 judgments against adulterated food products, also 40 insecticides and 296 patent medicines or other drugs were removed from the market. Officials declare the general condition of prepared foods and medicines to be excellent. Railroads make it possible to supply the country with fresh fruit and vegetables almost all year. First shipment of Georgia peaches arrived in New York on Monday. Germany reports that the budget planned a month ago, has been upset by falloff in revenues and rise in unemployment. The assumed improvement in business has not materialized. Germany's largest copper producer, the Mansfield Corp., closes its plant, locking out 14,000 workers, after Communist pickets had prevented workers from entering. Airmail lines now reach almost every important city in Mexico. In 1929 Mexico received over 14 million letters from the United States. Dull market coming back from Memorial Day holiday. Lowest volume since January 20. Large industrials including U.S. Steel and American Can traded in a narrow range. Good performers included utilities, Montgomery Ward, Woolworth, and some food product stocks. Little change in the business average for the past two months. Most of the large professionals have turned bullish. Government officials predict a trade revival over the next few months. Foreign currency generally down, Britain imports and exports for April down 20%. Chase National bank formed by merger of old Chase National, Equitable, and Interstate Trust. The Hobbs oil area in New Mexico is developing into a major operation probably calling for some agreement to restrict drilling or prorate production. 99 Congressional bills affecting the sugar industry over the last 10 years, 15 in 1929. Several copper companies cut dividends by about 50%. Monsanto chemical business is improving month-to-month but down YOY. Ford reducing model prices to 1927 levels. Car company shipments down big in May vs. 1929 (Buick, Reo, Hupp). Montgomery Ward sales up 26% in May vs. 1929 but store count up 60%. Florsheim shoe will probably have profits in 6 months up to April 30, 1930 equal to 1929. April meat sales up 6% sequentially but down 4% YOY. Sears is trying out a 5-day workweek, predicts some increase in hours worked Mon-Fri but employees would generally welcome this in exchange for fewer total hours and longer weekends. Mass transit in N.Y. city exceeded 3B passengers at 3.356B passengers for 1929, with the largest increase in the I.R.T. lines. Subway lines were up while elevated and street rails were down. Interesting chart of General Motors subsidiaries, including of course Buick, Cadillac, Chevrolet, Olds, and GMAC, but also lots of other stuff including Fisher body, A.C. Spark Plug, Frigidaire, G.M. Radio Corp., Fokker Aircraft America, and subsidiaries in many countries including Japan, India, China, Brazil, New Zealand. Unrest in India involving some Gandhi fellow. Difficulties at first dismissed by the British – “talk among the Conservatives of 'Communist propaganda,' which British politicians, like Americans, find useful in diverting attention.” Civil disobedience may be a fizzle, but the economic boycott hurts much more. Executives in the financial district taking longer lunches – hard to find between 12:30 and 2:30 PM. Natural gas use up 400% over less than 25 years. Originally produced in western Pennsylvania, soon after was in shortage, but “they did not know at the time the great wealth in natural gas hidden underground in other sections of the country”. Consumption in 1930 estimated at 2T cubic feet. April auto production down 30% from 1929 but up 8% from 1928, but skewed to lower priced cars; part of the auto market is doing normal business but part is in an “acute state of depression”. Atlantic, Gulf, & West Indies Steamship Lines Q1 income down 27% from 1929. National Dairy earnings doing better than 1929, Integration of Kraft cheese going well, ice cream up sharply.